Bride and Groom standing on a bridge. 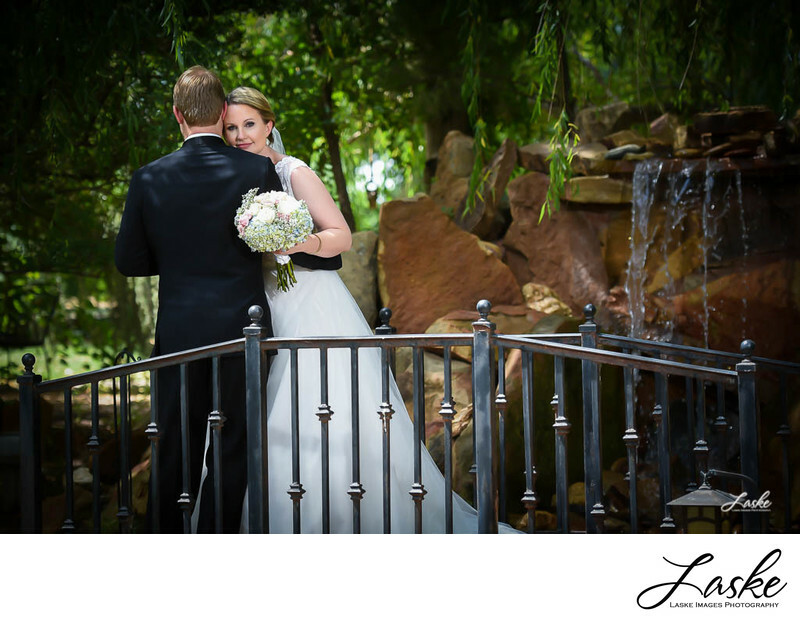 She's leaning into him, looking over his shoulder with a stone waterfall and trees in the background at Castle Falls in Oklahoma City. 1/250; f/3.2; ISO 100; 98.0 mm.